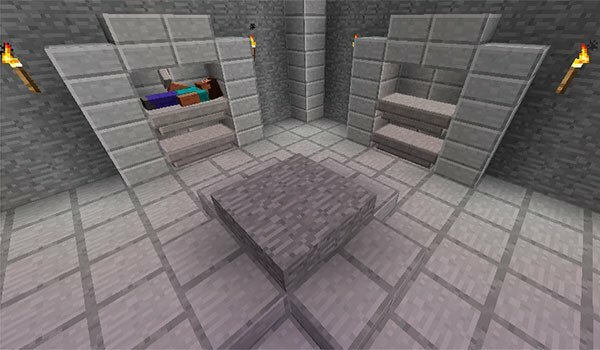 Tired of always sleep in a typical Minecraft bed? Well, check out this mod. 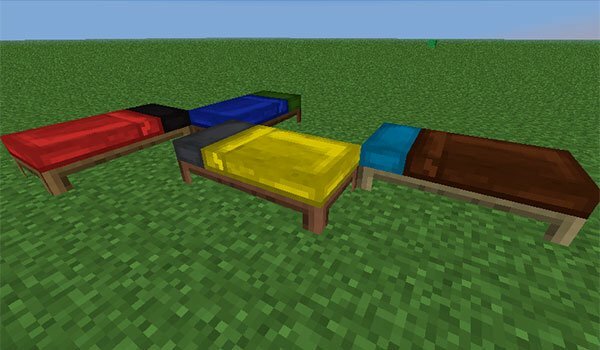 Bed and Beyond Craft 1.10.2 is a mod that will allow us to make thousands of combinations of colors and materials to build beds different from the traditional look that gives us the game. To be a bit more specific, you can perform more than 3000 combinations. The mod allows us to use the dyes of the game to change the colors of the sheets and the pillow of the bed. But that’s not all, also may use different types of woods for wooden beds with new colors. Besides making stone beds, beds with chests just below. To open the chest under the bed, we use a key that adds mod. How to install Bed Craft and Beyond Mod for Minecraft 1.10.2? Colored beds, stone beds of various woods and chests below!